In honor of Pearl Jam’s twentieth anniversary, Academy Award-winning director and music journalist Cameron Crowe created a definitive portrait of the seminal band carved from over 1,200 hours of rarely and ever-before-seen footage, plus 24 hours of recently shot concert and interview footage. Pearl Jam Twenty chronicles the years leading up to the band’s formation, the chaos that ensued soon after their rise to mega-stardom, their step back from center stage, and the creation of a trusted circle that would surround them -- giving way to a work culture that would sustain them. Told in big themes and bold colors with blistering sound, the film is carved from over 1,200 hours of footage spanning the band’s career. 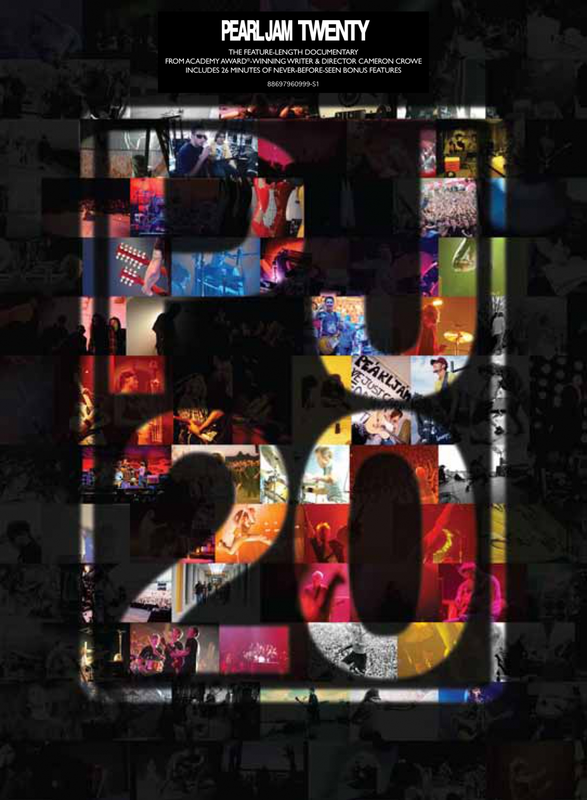 Pearl Jam Twenty is the definitive portrait of Pearl Jam: part concert film, part intimate insider-hang, part testimonial to the power of music and uncompromising artists.